Welcome to our FAQ page. Here you will find answers to our most frequently asked questions. If you still have questions about our firm or the value we can bring to your business, please contact us for further information. Our clients range from 2 – 200 employees and from pre-launch start-ups to companies with $75 million dollars in annual revenue. We are a fixed price solution provider, who believes in providing ‘value’ to each of our clients and are committed to delivering results. We provide our clients with a not-to-exceed cost estimate before beginning any work. No one likes surprises, so we work with our clients to understand their specific business needs and then outline our plan of action and the associated costs to implement those solutions. We have traveled over 200,000 miles over the past 3 years working with clients all over the United States. Affirm has offices in Orlando, FL, Knoxville, TN and Charlotte, NC, however our clients are located throughout the nation, and rarely is travel costs an inhibiting factor in working with our firm. In other words, we know the value of a dollar and keep travel costs to a minimum. Why would my company need a consulting firm? How can my company afford to hire a consultant if my company is already struggling? We believe the answer is, how can you afford not to hire someone to help you, as typically business challenges only get worse not better. 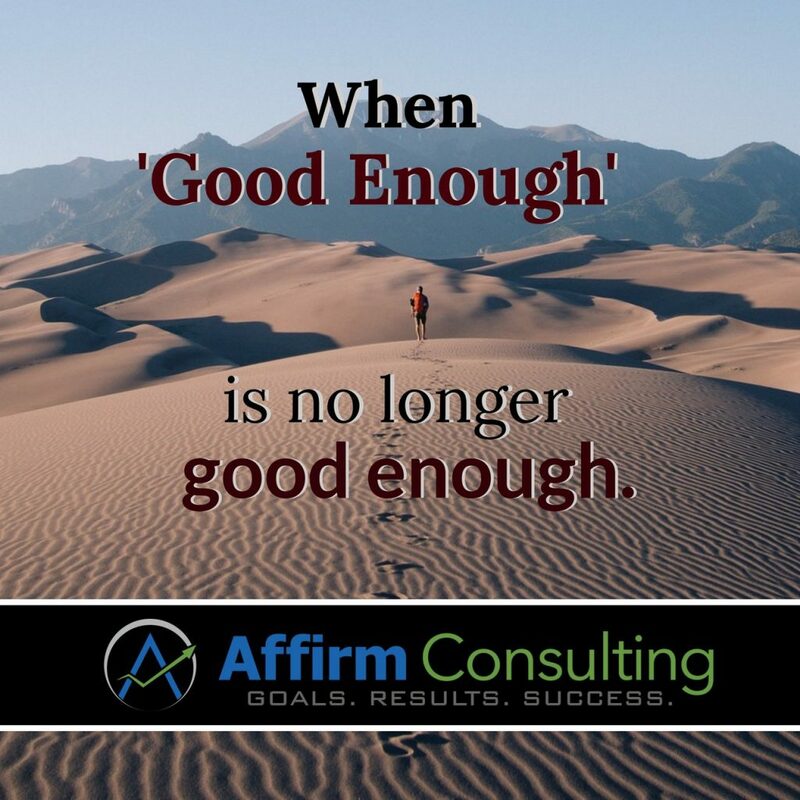 More importantly, you need to partner with a consulting firm that can actually deliver ‘results’… not just any results, but results that will positively impact your business and breathe new life into your company. That’s why our initial consultation with a potential new client is a no-cost, no-risk meeting where we can determine if we can provide a viable, cost-effective solution to you, and more importantly, you can learn more about our firm and whether we would be a good fit for you and your company. Yes, some of our clients are start-ups. If you’re an entrepreneur developing or refining your business model, identifying target markets, defining your brand, mapping your business operations, strategizing your company launch, or seeking expertise in launching your company, then our firm can bring significant impact and expertise to your start-up. Do you write business plans? No, our firm has a team of small business strategists and business growth experts who can help entrepreneurs develop all the key elements needed for a strong business plan, however the actual writing of the business plan is not one of our provided services.